While admittedly not for everybody, a motorcycle is a fine way to see the world. Traveling by motorcycle gives you the freedom to set your own pace in new territory and follow your whim when it takes you off the beaten path. Here are 10 of the world’s most legendary rides, ranging from open highways to rocky trails at the ends of the earth. Whether you do it on a Honda, a Royal Enfield, or a GS Boxer, one thing’s for sure: You’re not getting any younger. Get to it. Stretching along the coast nearly the entire length of California, State Route 1 has, quite rightly, achieved mythic stature. 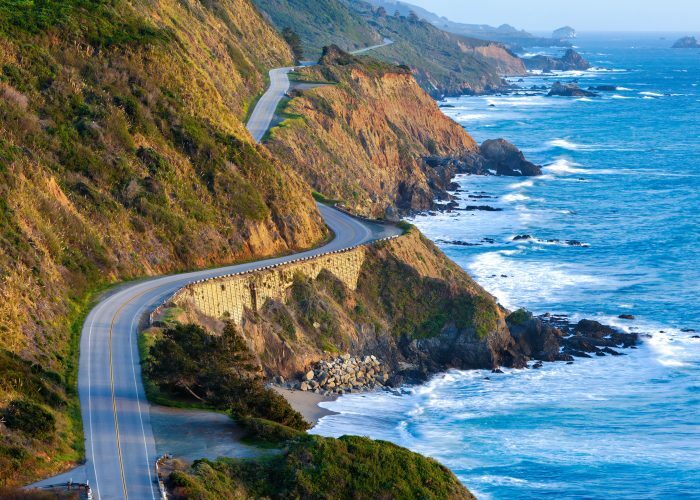 From the sunny southern coast in Orange County, the highway hugs the contours of the land north to the rocky, mist-fringed Pacific vistas at Big Sur before continuing across the Golden Gate Bridge into the redwood (and Bigfoot!) country of California's North Coast. If you’ve got the time, you can keep going north on U.S. Highway 101 through Oregon and Washington to soak in the smell of ocean breezes and myrtle wood. North Africa and the Sahara Desert are the stuff of which motorcycling legends are made, but unfortunately much of the region is now off limits to foreign riders because of security problems. (In 2009, the famed Paris-Dakar rally moved from Africa to South America, and it hasn’t moved back since.) Still, Morocco’s Atlas Mountains give a safe taste of North Africa’s magic. Some of the more acclaimed spots to see include the rugged beauty of Tizi-n-Test Pass and the desert catacombs of the Dadès Gorges and Todra Gorge. Route 40 is one of the longest roads in the world, stretching more than 3,000 miles along the eastern flank of the Andes. The route takes in soaring mountains and moon-scapey deserts, with plenty of furry guanacos—wild relatives of the llama—thrown in to boot, and tops out at more than 16,000 dizzying feet. One of the most iconic spots on the route is the town of El Chaltén, a colorful village with dramatic views of the rocky spires of Mount Fitz Roy and surrounding peaks. While much of the route is now paved, be prepared for the infamous rocky cobble called ripio and wind that can literally blow you over. The Grand Circle, Southwest U.S.
Sandstone canyon country in the Southwest U.S. is a place apart. Roughly centered on the Four Corners where New Mexico, Colorado, Utah and Arizona meet, the “Grand Circle” is actually a choose-your-own-adventure of mostly two-lane roads that variously lead to the Grand Canyon, Canyonlands, Arches, Mesa Verde, and Zion national parks (among others), as well as innumerable lesser-known canyons with ancient Anasazi ruins. The area is also home to a proliferation of reservations and sacred lands, including Monument Valley, where Stagecoach and innumerable Marlboro ads were shot; mesa-top Hopi villages; and the adobe pueblos on the Rio Grande. As adventure-riding guru Chris Scott puts it in his Adventure Motorcycling Handbook: “A glance at a map of Peru will show roads resembling so much over-boiled spaghetti thrown against a wall.” The road through Cañón del Pato, in the Ancash region, has incredible plunging canyon walls. Further south outside of Arequipa are Cotahuasi and the Colca, two 12,000-foot-deep canyons often recognized as the world's deepest. To the southeast, Bolivia’s high-altitude desert, the Altiplano, is less a place than another dimension: With an average elevation of 12,300 feet, it’s second only to the Tibetan Plateau. 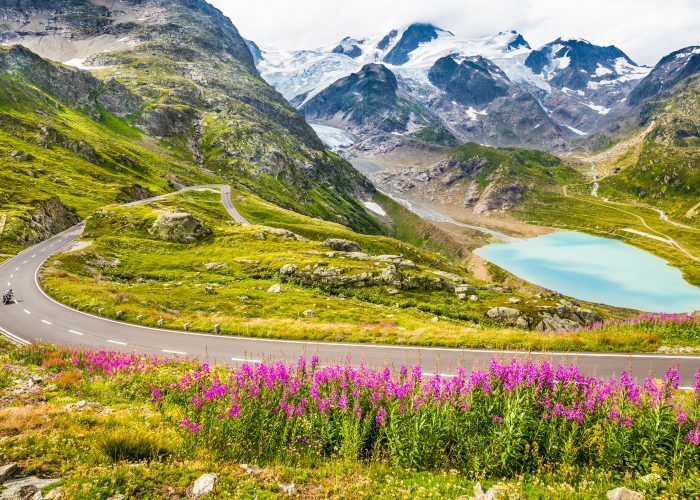 The granddaddy of motorcycle touring started as a bicycle route through the French Alps, crossing some 16 passes between Lake Geneva and the Mediterranean. Those include Col de la Bonette, an 8,900-foot pass that is occasionally—and diabolically—included in the Tour de France, and the stunning Col d'Izoard. This is high alpine nosebleed territory, so make sure to pack along a good bottle of Savoie Crépy to take the edge off after a hard day’s riding. 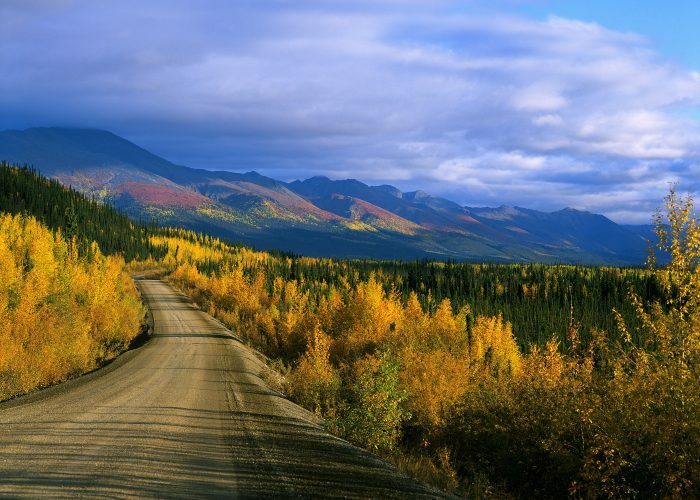 Following the route of an old dog sled trail, the Dempster Highway starts near Dawson City, Yukon, and ends at Inuvik, some 120 miles north of the Arctic Circle. The road is built atop a gravel bed that’s nearly 8 feet thick in places, which insulates the permafrost below, preventing it from melting and the road sinking into oblivion with it. The rugged Ogilvie Mountains provide a dramatic backdrop to the route and, thanks to the Aurora Borealis, the light shows come free of charge. Not only does the road not shut down in winter, it actually gets even longer: The opening of seasonal ice roads extends it another 120 miles north to Tuktoyaktuk. Cell phone coverage is spotty, so it doesn’t hurt to pack a satellite phone as well as winter survival gear. And make sure you travel with a partner—that way, you’ll have something to eat when the going gets really tough. Back in the 1960s, thousands of intrepid travelers eager to break the shackles of Western society made the epic journey from Istanbul to Delhi and points far, far beyond (both literally and figuratively). Sadly, the world has changed, and the original route—which crosses Iran and Afghanistan—is considerably less traveler-friendly these days. But a new route, which runs to the north, is gaining currency with adventure motorcyclists. From Istanbul, it’s possible to ride to the Caspian Sea and take a ferry to Turkmenbashi in Turkmenistan. From there, the deserts and mountains of Central Asia are yours, provided you’re willing to do the footwork you’ll need for a raft of visas. If you’re feeling particularly plucky, it is possible to ride into China, then Pakistan, and into India. It’s a little out of the way, but as some wise old sage said: What matters is the journey, not the destination. Siberia has always had a special grip on the traveling imagination, and there are plenty of gnarly routes like the so-called Road of Bones. But the adventure motorcycling trip with the fastest-growing reputation is, ironically, a service road for a railway. Spanning more than 2,500 miles, the Baikal–Amur Mainline railroad was constructed as a late Cold War Soviet defense project. With the collapse of the Soviet Union, it has been disappearing back into the muddy quagmires of Siberia. Passable for only a couple months of year, and swarmed with zombie hordes of mosquitoes, the BAM takes a special sort of masochism. If you’re feeling crazy, this mud’s for you.